I read this article and found it very interesting, thought it might be something for you. The article is called Mumbai City Spends More On Education Than Roads, Most On Water Supply and is located at https://archive.indiaspend.com/states/mumbai-city-spends-more-on-education-than-roads-most-on-water-supply-2. Brihanmumbai Mahanagarpalika, the richest urban body in India, is likely to see a 26% increase in budget estimates for the current financial year to over Rs 26,500 crore. IndiaSpend’s Prachi Salve finds out where the increased revenue is expected to come from and where the corporation is stepping up expenditure to address citizens’ concerns. 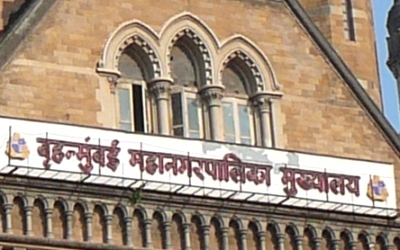 Mumbai’s (population of 12.5 million as per Census 2011) services are managed by Brihanmumbai Mahanagarpalika, the richest urban body in India. BMC is likely to see a 26% increase in budget estimates for the current financial year to over Rs 26,500 crore. BMC’s revenue expenditure (non-asset based) is Rs 17,114 crore. Of this, a whopping Rs 9,821 crore or 47% will be paid out as salaries and pensions. Revenue income is expected to be Rs 19,680 crore, which includes Rs 6,900 crore from octroi, a city-entry tax for goods, which most other cities in India do not now have and is a cause of much heartburn among businesses and industry. Interestingly, BMC’s income from roads and bridges seem to be going down. From Rs 112.6 crore, it is now projected at Rs 154 crore but then sharply dropping to Rs 117 crore. Let us look at the income and expenditure budget for the last financial year and the current financial year. The budget estimates have increased by 26% to Rs26,581crore for the current financial year, driven mainly by higher octroi revenue and receipts from the road department. Now let us look at the major income sources for the corporation. It can be seen from the above table that revised estimates of revenue income have increased by Rs751 crore when compared with the budget estimates of 2011-12. The increase can be attributed to the increase in octroi receipts, receipts form development plans, receipts from road department and interest on fixed deposits. The estimates for octroi collections in 2011-12 have been revised from Rs 5,700 crore to Rs 6,000 crore. The amendments made to development control regulations that regulate real estate have also improved collections. BMC is planning to spend Rs 26,474 crore in 2012-13 with a special focus on improving roads in the metropolis and ensuring 24×7 supply of clean drinking water. The proposed expenditure on roads and bridges has been more than doubled from Rs 713 crore in BE 2011-12 to Rs 1,466 crore 2012-13. While Rs 800 crore is being spent on concretisation of roads, Rs 320 crore will be spent on new cement concrete roads. The work of improvement of Marine Drive will continue this year as well, and Rs 15 crore has been provided for this purpose. Another notable factor is that BMC has allocated nearly Rs 50 crore for pothole repairs. The corporation plans to use new technology in road maintenance such as the cold mix technology for filling pot-holes, roadmaintenancemanagement system (RMMS)radar scanner and sensors-based rollers. The capital expenditure on health has been increased from Rs 510 crore to Rs. 655 crore for 2012-13. BMC proposes to enhance the capacity of 16 peripheral hospitals. The total number of beds in BMC-run hospitals currently is 11,625 beds, and the plan is to add 1,047 new beds (713 in western suburbs and 334 in central suburbs) in the 16 peripheral hospitals over three years. While health expenditure has increased marginally, total outlay for education has increased sharply from Rs 1,800 crore to Rs 2,342crore in 2012-13. Interestingly, BMC plans to provide virtual classrooms and water purifiers to 400 and 482 schools, respectively. It also plans to open libraries in 278 school buildings of municipal schools and another 100 will be started in partnership with an NGO ‘Room ToRead’. There are capital provisions of Rs 367 crorefor repairs and upgradation of school buildings, which is an increase of nearly 117% as compared to Rs 169 crore in 2011-12. The demand for water in Mumbai currently is around 4,200 million litre per day while supply is 3,430 MLD. BMC aims to finish the middle Vaitarnaproject, which will add 455 MLD supply to the city. So, there has been a reduction in capital expenditure on water supply from Rs 2,599 crore to Rs 2,479 crore. And here comes the major expenditure head: salaries and pensions. The employees of BMC have received the VIth Pay Commission award, and have received their revised pay scales as per the agreement. So, the establishment expenses (including salaries and pensions) is expected to increasefrom Rs 8,094 crore in 2011-12 to Rs9,821 crore. The focus of BMC is to provide 100% coverage in water supply and sewerage facilities… and charges have been hiked this year to meet the cost of projects being implemented and expected to be completed by 2025-26. While thesources of income have increased due to the recent amendments made to the BMC regulations, there is still a need for transparency as to where exactly the money is being spent on…. Mumbai spends more on education than roads or for that matter any other head except for water supply. This is encouraging in concept. But the large investment figures would also raise the question of quality and efficacy of delivery. Whether in education or any other head of expenditure. IndiaSpend is tracking this closely and we will update you as we understand better. At least some part of India has got its priorities right, IMHO.